There is always the issue of wiper blades sticking to your car windshield and being covered in ice. 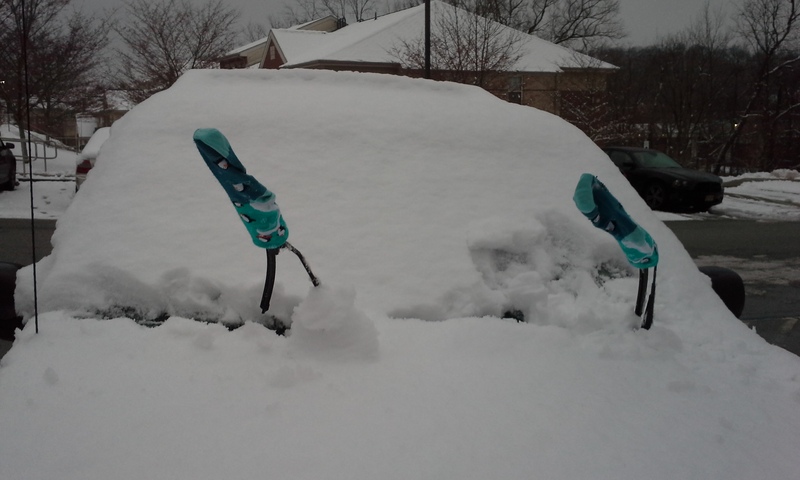 Covering your wiper blades with socks and leaving them up in the air will prevent this. You never know what to expect in the winter months, so if you keep a bucket of kitty litter in the back of your vehicle, it will serve two purposes: it will give you more traction on the road, and in the event you get stuck in snow, you can use the kitty litter to give you traction under your tires. In the event you forget the kitty litter, you can use your car’s floor mats to get traction also. Did you know that if you spray a mixture of 3:1 vinegar to water on your car windows, you will keep water from icing up and eliminate that dreaded ice? For more helpful hints like this one, you can visit the Lifehack website. The winter season is full of many unexpected snowstorms and icy roads, so make sure that you are always prepared. Keep water, a couple granola bars, an extra blanket or coat, hand warmers, and some extra gloves in your car in the event that you are ever stuck. Remember to try to keep your gas tank at least halfway full in the winter; your vehicle is working harder to start and get warm.